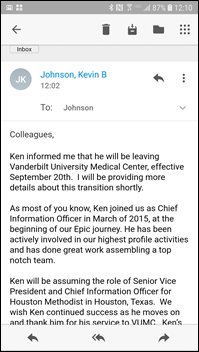 From Vumcit: “Re: CIO departure at VUMC. Vanderbilt operating revenue down 68 percent after Epic implementation. CIO leaving. Unofficial hiring freeze in place.” It appears CIO Ken Letkeman will be heading to Houston Methodist after overseeing Nashville-based VUMC’s $200 million switch to Epic last November. 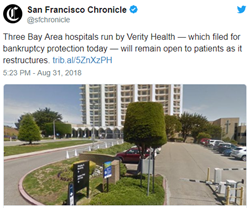 The hospital’s latest financial statement says that while the drop in revenue was planned for, the implementation caused “muted” procedural volume, though future gains are expected. From Savoy Special: “Re: Teladoc. Teladoc Rx ordering suffered widespread outage for over 36 hours between 8/29 and 8/31. After hours on the phone with Teladoc getting multiple stories, with the only consistent theme being ‘It’s not us, it’s them’ in a vague reference to a downstream integration or e-prescribing vendor platform doing an upgrade or emergency fix. Messages are flowing in a FIFO manner as of 9 a.m. ET on 8/31.” Unverified. Teladoc uses e-prescribing services from Surescripts. 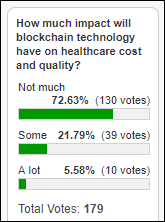 New survey to your right or here: Would you resort to sharing your medical bill with the media in hopes of getting it reduced? Virtual care software vendor Zipnosis raises $3 million in a Series B round, bringing its total funding to $22 million. The New York Times profiles Comcast and the surprisingly savvy investments it has made to keep healthcare costs down for its employees. (Most employees have a $250 deductible.) Through its Comcast Ventures investment arm, the much-maligned cable company has developed financial relationships with startups like Accolade, which helps employees navigate their health benefits; and Grand Rounds, which helps patients find second opinions. 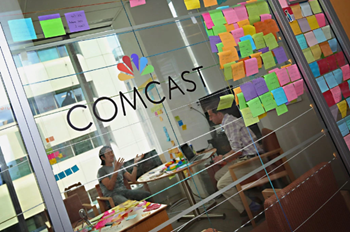 Comcast offers their services to its employees, plus virtual care from Doctor on Demand. It’s next admittedly self-serving play is to ensure the financial health of its employees through a startup it has created and funded call Brightside. 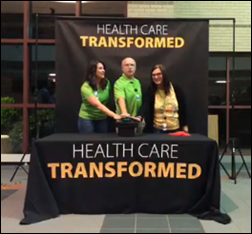 Accolade co-founder Tom Spann made his debut as CEO of Brightside at the HLTH conference in Las Vegas. Todd Hoisington (Huron Consulting) joins The Chartis Group as principal and partner. Meritus Medical Center (MD) and physician practices go live on Epic. In Australia, Chris O’Brien Lifehouse implements Meditech’s 6.x oncology and pharmacy software. Mt. Washington Pediatric Hospital (MA) selects Meditech Expanse EHR implementation services from CloudWave. 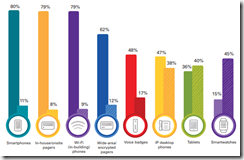 The integration of new devices for better communication tops the list of call center process-improvement goals, according to Spok’s inaugural survey of 400 providers involved with call-center strategy. 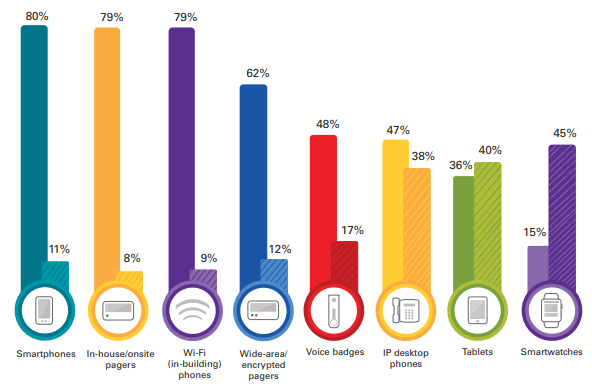 Pagers are still going strong as a top communication method for staff, nearly tying with smartphones. Smart watches seem to be high on everyone’s wish list. LifeImage’s network now connects 1,500 hospitals and has facilitated the exchange of 7 billion image files. MedData will exhibit at the Texas MGMA Fall Conference September 6-7 in Houston. PatientPing releases a new success story video featuring Karen Yakabowskas of Saint Francis Healthcare Partners. Surescripts recognizes nine EHR companies as finalists for the 2018 White Coat Award. Vocera will exhibit at the 2018 Kansas Hospital Association Conference and Tradeshow September 6 in Topeka. Meditech adds PDMP integration from DrFirst to its Expanse EHR. Paul Black and Allscripts leadership did throw away 200 million into this con mans pockets. Does anyone see any similarities between the 2? Claims of being able to cure cancer, a cheap zinc air rechargeable battery, Allscripts rapidly aging claims of an AI product to “complement” their portfolio of outdated, duct tape wrapped solutions. Snake oil salesmen both of these 2 men. buyer/investors beware.